Zuora is a hot new company, an offshoot of Salesforce.com, that is focused on what they call "The Subscription Economy." This is very much in tune with the ideas about FairPay that I am developing, and I recently had a very nice chat with their regional account executive. He invited me to a very informal dinner he had been planning for some local customers and prospects, with the idea that they would find it interesting to hear about FairPay, and that that would be a good conversation-starter for some information exchange on subscription services in general. The dinner proved very enjoyable, and generated much good discussion. 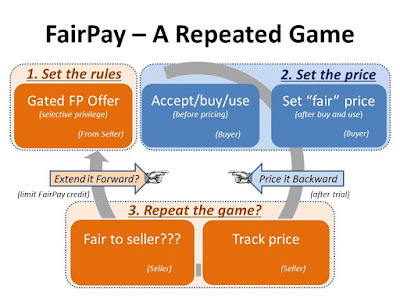 It reinforced the idea that FairPay might help solve many difficult problems related to pricing of content and services, and that it offers a very promising re-architecting of how subscriptions can work. As always, I enjoyed interacting with bright people facing the real challenges of digital commerce, and helping them to see things from new angles. We discussed many of the themes covered in this blog and on the FairPay Web site, and the positive feedback was gratifying. "The Subscription Economy" is directly supportive of my suggestion that the solution to many current problems is to shift from a transaction-level view, to an overall relationship view. With digital offerings, it is not important that every transaction be priced right, but rather that the entire relationship be managed to grow in mutual value, and to move toward more effective pricing over the life of the relationship. It is a matter of managing a subscription relationship. 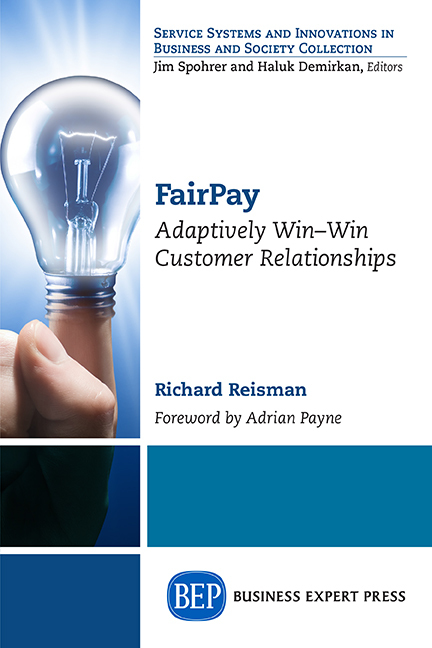 What FairPay adds is a radically new concept of just how subscription relationships can work, and be managed, more effectively. 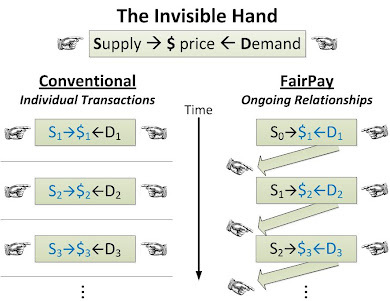 FairPay emphasizes that such relationships should continually adapt to current needs and future expectations, based on a dialog by both parties, and provides a new paradigm for doing that in a more win-win manner. I look forward to further discussions with Zuora and its customers. As noted before, I will be on a panel with Shawn Price, President of Zuora, presented by the MIT Enterprise Forum of NYC the evening of 12/1, on "Better Strategies for Monetizing Digital Offerings." If you have read this far, you should attend!